40 on 40. 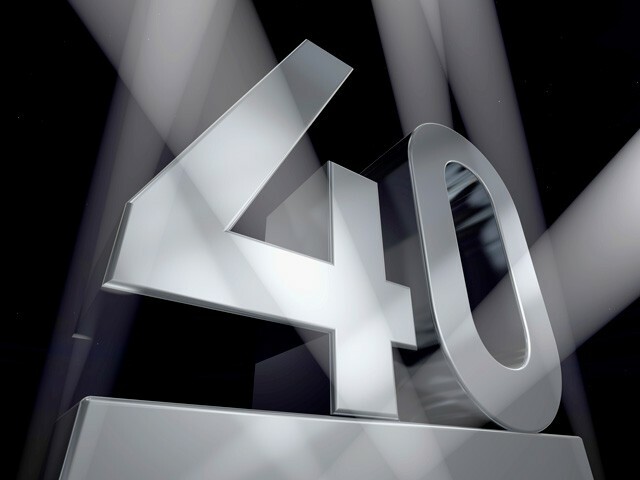 Forty things I think I have learned–on my 40th b’day. 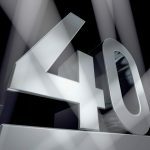 As I turn 40, I take a few minutes to reflect on what I think I know, on what I think I have learned. I know one thing for sure: there is so much more to learn (and I can’t wait!). Meanwhile, I share my musings below. I made a list of 40 things I think I have learned in 40 years of sucking air. Sarcasm is humor in its most enjoyable and smartest form. Compassion literally mean to “suffer with.” There are many generous and caring people who help my kids, and then there are those who suffer with us. When people cry in response to one of my stories or writings, I say, “Thank you for crying.” That notion of suffering alongside of us is powerful indeed. Even Christ said to weep with those who weep. It is an acknowledgement of our oneness as we navigate this human experience. Hotel rooms often do not have end tables next to the armchair, so there’s no place to rest your coffee cup while you chat on the phone. An overturned rubbish bin draped with a hand-towel does the trick. It’s important to know how much to eat, sleep and move. When you’re sick, seek treatment and the company of friends. When your friends are sick, tend to them. Whenever possible, hand write thank you notes. Don’t email or text them. It’s okay to ask for directions. I have learned that no one is too famous, too rich or too important to invite over for dinner. In fact, I have learned that really rich and famous people don’t often get invited to simple dinner parties, and so they tend to delight in the process. I have learned to take delight in processes. Sometimes footwear should be chosen for function rather than form. Some things never get better or go away. Learning to develop strategies to survive-and-thrive is often more valuable than escape. I’ll never have bigger fans than I have in my parents. My kids will never have a bigger fan than me. It’s fun to have fans. I have learned to be grateful for grief. It shows how very much life matters. I can think of nothing more tragic than an un-grieved death. Human consciousness is so easily expanded or narrowed. Those who do not seek expansion fall victim to masters of control. When someone else seems to be inauthentic–or fake–it means one of two things: either A) they are nervous and looking for approval and their own footing, or B) they ARE fake and to be avoided. There is mastery in being able to determine which is the case, and quickly. Most people who are mean, rude and unpleasant are suffering from some other physical or spiritual stress. Addressing the visible rudeness rather than the unseen stress is vacuous. What I used to call “depression” I now call “awareness.” My somatic knowledge often confuses my chemical makeup, triggering either the wrong language to communicate the awareness, or transcending the capacity of that language altogether. Feeling and knowing don’t always have to coexist. Doing what you love is not the same thing as loving what you do. The former is precious, the latter is merely an occasional perk. Purpose and meaning always trump happiness and joy. I have learned to give a little, take a little, and let my poor heart break a little. I have learned to say yes. Words mean things. By that I mean that there is value in considering what you say and how you say it–and in building your vocabulary to accommodate a richer range of self-expression. I’m better looking than I thought (and it’s sometimes okay to say so). My presence–as realized by my height, shoulder-size, gender, race and spirit–has more of an impact on the way others engage with me, much more than I ever really understood before, and probably more than I understand even now. People who are fit work out all the time. I know it sounds crazy that I had to learn that, but my thinking used to be that one worked out to become fit. I didn’t acknowledge the fact that one must continue to work out to maintain fitness. I have learned to look up, instead of only around and down. Often, the greatest gift someone can give me is their thoughtful and focused attention. And vice-versa. I’m as good as the other girls and boys. I like grapes, especially old, stomped-up ones. I don’t have to know everything, but I am compelled to know some things very, very well indeed. So Nathaniel, unpack number 24 for me. I am not sure what you mean by “trumps”. Are you saying that purpose and meaning are more important than happiness and joy, especially in determining action? That purpose and meaning should be what informs how you are in the world and not happiness and joy or some combination of all four? Purpose and meaning oppose happiness and joy? “Always?” My years have taught me to “always” ;-)be skeptical when I see the words “always and “never”. Happiness in the Buddhist sense involves complex purpose and meaning. I could say more but have to get on with my day musing about purpose & meaning in connection or disconnection to happiness and joy. It comes down to definitions, I think. I find that many people look for happiness in terms of recreation or a numbing of the mind. With that definition, purpose and meaning are of so much more value. Also, when happiness is the only goal, purpose and meaning don’t necessarily come into the picture. If you define happiness in terms of “meaning,” as I think you’re doing, then they are one in the same. I THINK. Still learning. Yes, well I am still learning, too. Words, yes. It does make such a difference how one (you/I) defines words. I do not mean happiness in terms of recreation or numbing of the mind. The Dalai Lama says that the purpose of life is happiness, I believe. “May all sentient beings have happiness and the causes of happiness. May all beings be free of suffering and the causes of suffering.” Cultivating the causes of happiness and learning what are the causes of suffering and then learning (this is the tricky part )how not to get caught in or live out the causes of suffering are a lifetime (or several) job of awakening. So that is where I am coming from. A whole different vocabulary. It is good to be reminded that not everyone understands those definitions. Thanks Nathaniel. I think that purpose and meaning go hand in hand with happiness and joy. I sure love your lists, Nathaniel. They’re smart and wise, and they help me notice lessons in my own life, just in case I hadn’t- similar good fortune and and other (internal) things. Plus they make me laugh. I was surprised by #3 but I’m glad someone else enjoys a little sarcasm now and then; just today, I thought to myself ‘I’ll have to stop that.” Best of all, these lists tell us about you, either as a reminder, or as an introduction. That’s nice. Thanks so much for this Carla. What a thoughtful reply. I appreciate it. I decided you might be using sarcasm in #3. Huh-huh. If so, do I get a prize for being dense and gullible? PS You’re speaking to someone who once downloaded a reverse Arial font for my sarcastic moments (like I said, “I’ll have to stop that.”) Though, I think as long as its not too sharp, or directed at another, sarcasm is a stress reliever because it usually names the reality, and points out absurdities. This is marvelous. This is a great gift to give to your friends. Quite a bit of wisdom in you! Thank you, Rachel. You’re a treasure to me. So fortuitous that our paths crossed in dusty, wonderful Kampala. Thanks for the continued engagement.